Bouquet of red roses in kraft paper. A bouquet of red roses in kraft paper is a classic! 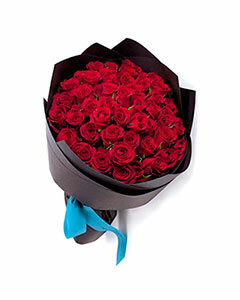 Such an elegant bouquet looks very presentable and suitable for any celebration. Roses 60-70cm.